On most Friday afternoons I teach some homeschoolers (brilliant students) two subjects, Bible and History. Currently their world history is dealing with the 19th century. One of the topics in that time-frame is the construction of the Suez Canal. Said Pasha gave a concession to Ferdinand de Lesseps who created a French company, The Suez Canal Company, to join the Mediterranean Sea with the Red Sea. The canal opened under French control on November 17, 1869. (Said was Wāli of Egypt and Sudan from 1854 until 1863, officially owing allegiance to the Ottoman Sultan but in practice exercising virtual independence. 4th son of Muhammad Ali Pasha). The Suez Canal. The Sinai Peninsula is at our back, looking across to Egypt. Photo ©Leon Mauldin. Naturally, the countries of Europe were very interested in this canal–the Suez Canal. The canal could change the way that European countries traded with China, Japan, and the other countries of the Far East. Instead of travelling all the way down the coast of Africa, around the tip of that enormous continent, and then heading east, European ships could sail from the Mediterranean Sea straight down into the Red Sea and then turn east. When the canal was finished,it would be a hundred miles long, about twenty-six feet deep, and it would make the trip from Europe to the East six thousand miles shorter! (The Story of the World: History for the Classical Child. Vol.4, p. 109). This area is of tremendous biblical importance as it pertains to Israel’s crossing of the Red Sea en route to the promised land of Canaan. I have previously written here and here on the Suez. Another view of the Suez. Photo ©Leon Mauldin. The canal separates the African continent from Asia, and it provides the shortest maritime route between Europe and the lands lying around the Indian and western Pacific oceans. It is one of the world’s most heavily used shipping lanes. 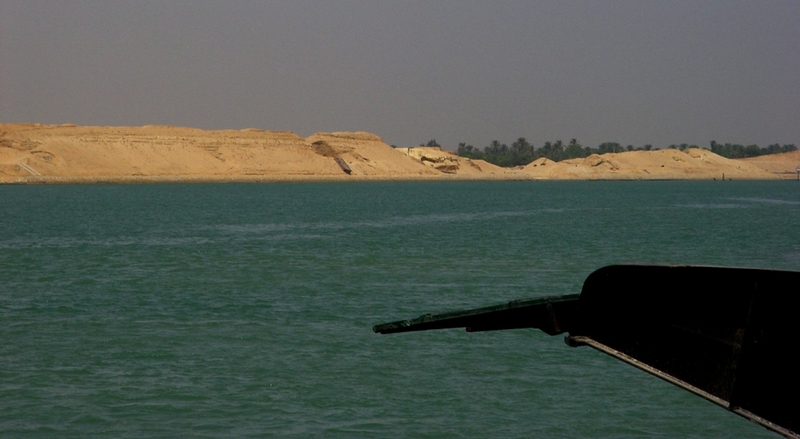 The Suez Canal is one of the most important waterways in the world. The canal is extensively used by modern ships , as it is the fastest crossing from the Atlantic Ocean to the Indian Ocean . Tolls paid by the vessels represent an important source of income for the Egyptian government. Railway and a sweet water canal are run on the west bank parallel to the Suez Canal. The Canal runs between Port Said harbor and the Gulf of Suez, through soils which vary according to the region. At Port Said and the surrounding area, the soil is composed over thousands of years of silt and clay sedimentations deposited by the Nile waters drifted by Damietta branch. This formation extends to Kantara, 40 km to the south of Port Said , where silt mixes with sand. The central region of the Canal between Kantara and Kabret consists of fine and coarse sands, while the southern region contains dispersed layers of rocks, varying in texture from soft sand to some calcium rocks, The side gradient of the water cross-section differs according to the nature of the soil, which is 4:1 in the north and 3:1 in the south. The Suez Canal is a sea level Canal and the height of water level differs slightly and the extreme tidal range is 65 cm in the north and 1.9 m in the south. The banks of the Canal are protected against the wash and waves, generated by the transit of ships, by revetments of hard stones and steel sheet piles corresponding to the nature of soil in every area. On both sides of the Canal, there are mooring bollards every 125 m for the mooring of vessel in case of emergency, and kilometric sign posts helping locate the position of ships in the waterway. The navigable channel is bordered by light and reflecting buoys as navigational aids to night traffic. 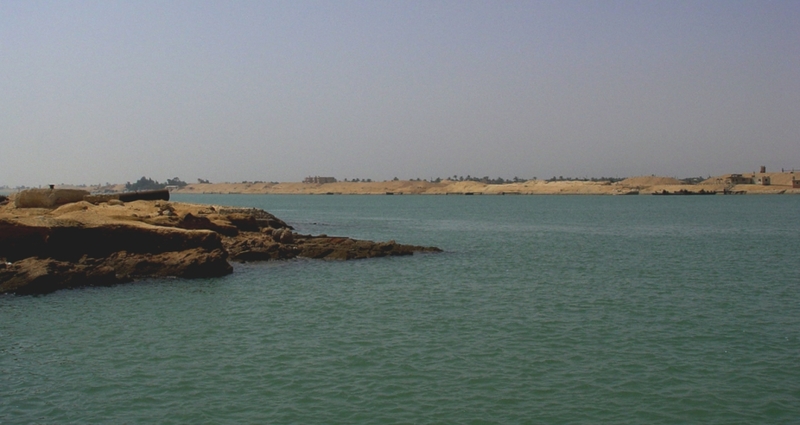 (http://www.suezcanal.gov.eg). 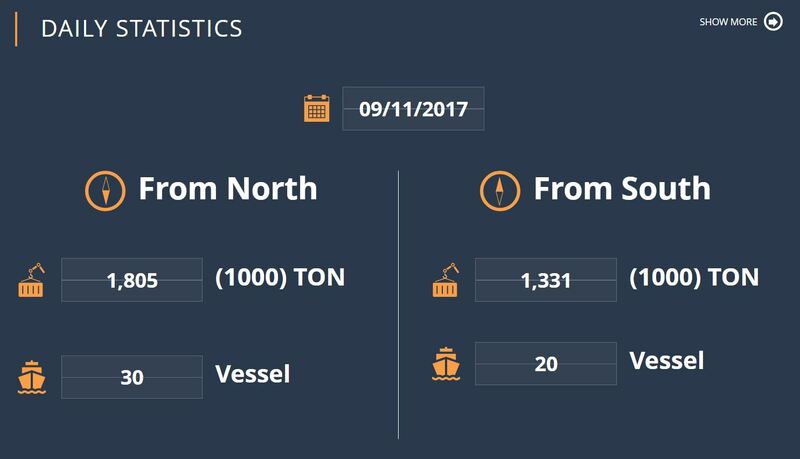 Some current stats of the use of the Suez. Click photos for larger view. Oh BTW did I mention that the home-school students I teach on Fridays are my grandchildren? This entry was posted on Friday, November 10th, 2017 at 11:59 AM and is filed under Bible History and Geography, Egypt, Old Testament, photography, Travel, Uncategorized. You can follow any responses to this entry through the RSS 2.0 feed. You can leave a response, or trackback from your own site. Thank you so much for the information you continue to share with us which is so helpful! !